Cheap Weekend Fun for August 10-11, 2013 in the Greater Boston Area! Magic 106.7 Family Film Festival: Saturday, August 10, 2013 at Prudential Center South Garden at sunset. Enjoy a free showing of Mirror Mirror on the South Garden at the Prudential Center at sunset. Boston Urban Music Festival Presents Roller Party: Saturday, August 10, 2013 from 5-9pm at Pier 10 Park. Enjoy performances by Gilbere Forte and Bridget Kelly with local artists, food trucks, free roller skating and more! Free. Belkin Family Lookout Farm Open House (Natick): Saturday, August 10, 2013 starting at 10am in Natick. Enjoy free face painting, magic show, hay rides, farm animals and more at this free open house. Belkin Farm will also be shooting a video, so if you attend the open house, you are giving permission to be in the video. Free. Chinatown August Moon Festival: Sunday, August 11, 2013 from 10-5pm on Main Street, Chinatown. Enjoy Chinese folk dance, martial arts, singing, and more. Free. 93rd Annual Grand Religious Feast in honor of Madonna Della Cava: August 9, 10 & 11, 2013 on Hanover and Battery Streets. Celebrate the 93rd Annual Grand Religious feast in honor of Madonna Della Cava with a procession, special entertainment, and more. 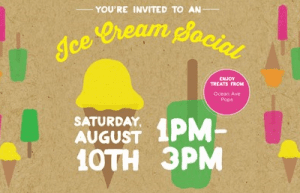 Ice Cream Social with Ocean Ave Pops: Saturday, August 10, 2013 from 1-3pm at West Elm Fenway (160 Brookline Ave, Boston). Stop by West Elm Fenway on Saturday afternoon to grab a sweet treat from Ocean Ave Pops! Boston by Bike Midnight Ride: Saturday, August 10, 2013 meeting at 11:15pm at Trinity Church in Copley Square. Bring a bike and enjoy around 30 miles of biking through the city at night and maybe even discover some new sights. Free. Hope you have a great weekend in whatever you decide to do! 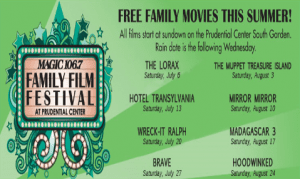 Magic 106.7 Family Film Festival: Saturday, July 27, 2013 at Prudential Center South Garden at sunset. Enjoy a free showing of Brave on the South Garden at the Prudential Center at sunset. Shakespeare on the Common: Performances through Sunday, July 28, 2013 at Boston Common. Enjoy a free performance of Shakespeare’s The Two Gentlemen of Verona for the last weekend this summer! Don’t miss out! Institute of Contemporary Art Boston: Saturday, July 27, 2013. The ICA Boston is free the last Saturday of every month, which is this Saturday! 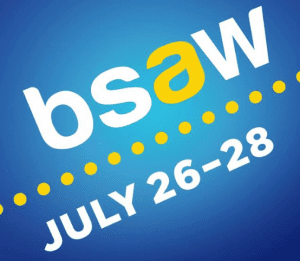 Boston Summer Arts Weekend: July 26-28, 2013 at Copley Square. Enjoy a large variety of local and national performers including bluegrass/country singer Alison Krauss. Free and open to the public. Ultimate Bootcamp at Summer Arts Festival: Saturday, July 27th from 10-11am. Join Ultimate Bootcamp for a free and energizing workout at the Boston Harbor Association’s Summer Arts Festival. Free. FIGMENT Boston: July 27-28, 2013 at the Rose Kennedy Greenway. Inspire your creativity this weekend with art projects, dance performances, music, and more. Free. 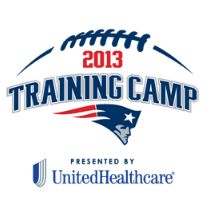 Patriots Training Camp: July 26-28, 2013 at Gillette Stadium in Foxboro with practice from 9am-11:30am. The Patriots start training camp at Gillette Stadium with practice free and open to the public. 88th Annual Saint Joseph’s Feast: July 26-28, 2013. Enjoy this annual festival in the North End featuring parades, strolling singers, marching bands, live entertainment, and much more. Free. Chill Out Saturdays at Taza Chocolates: Saturday, July 27, 2013 from 12-3pm at Taza Chocolate in Somerville. Stop by Taza Chocolates to grab a free frozen treat from a local vendor on Saturdays in July. This Saturday is free sccops from FoMu! If I missed anything really awesome and inexpensive, please leave ’em in the comments! Thanks! Hope you have a great weekend! As previously mentioned, I am on vacation(!!) and not in the New England area this weekend. This weekend round-up will be a little quicker than usual, and don’t forget to do your due diligence and check with the event organizer to ensure the event is still happening. If I missed a great and cheap event, please feel free to leave ’em in the comments. Thanks! Battle of Bunker Hill Parade: Sunday, June 16, 2013 starting at 12:30pm. Celebrate the 238th Annual Bunker Hill Parade which commemorates the battle that was fought on Breed’s Hill on June 17, 1775. 80’s Themed City Sports Dash: Saturday, June 15, 2013 at 9:00am. Grab your spandex and leg warmers and join this 80’s theme fun run. Free to join. Cultural Survival Bazaar: Saturday, June 15, 2013 from 10am-6pm at Copley Square. Enjoy a festival of native arts and culture with music, cultural demonstrations, crafts, and more. Free. Waltham Riverfest: Friday & Saturday, June 14-15, 2013 in Waltham. Enjoy 4 stages of live music, pet parade, dancing, and more. Harvard Museum of Natural History and Peabody Museum of Archaeology and Ethnology: Sunday, June 16, 2013. Mass residents can visit the Harvard Museum of Natural History and the Peabody Museum of Archaeology and Ethnology for free on Sundays from 9am-12pm with proof of residency. And don’t forget to check out where Dad is free this weekend in the Greater Boston area! Happy Father’s Day weekend! Boston Pride Day Parade and Festival: Saturday, June 8, 2013 from 12pm to 6pm; starts at Copley and ends at City Hall Plaza. Join this annual parade and festival with Mayor Menino as the Pride Parade Grand Marshal and pop-duo Karmin as the festival headliner. Free. Coolidge Corner Arts Festival: Saturday, June 8, 2013 from 10am-6pm. More than 70 artists will be showcasing their work at this 35th Annual Festival with free admission. Also, the Brookline Food Festival will be nearby from 12-3pm with tasting tickets for $2 each, which benefits the Brookline Food Pantry. 34th Annual Boston Dragon Boat Festival: Saturday & Sunday, June 8-9, 2013 starting at 8am at the banks of the Charles River. Cheer on the oldest Dragon Boat race in North America where 30-40 teams compete in 500-meter course in Hong-Kong Style dragon boats. Food, performances, arts & crafts and more will be present as well. Free admission. National Get Outdoors Day: Saturday, June 8, 2013. Saturday is National Get Outdoors Day, and luckily it doesn’t cost anything to get outdoors and celebrate. If you’re looking for a free park or location, please click here. Salem Arts Festival: Friday- Sunday, June 7, 8, & 9 in Salem, Massachusetts. Enjoy this family-friendly 3-day arts festival with a variety of artists, performers, musicians, and more. Free. Fifth Annual Dance for World Community Festival: Saturday & Sunday, June 8-9, 2013 in Harvard Square. Enjoy this celebration showcasing dance positively in the community and world. Free and open to the public. Cambridge Food Truck Festival: Saturday, June 8, 2013 from 11am-5pm in Kendall Square. Enjoy this first ever mouthwatering food festival in Cambridge. Grab tickets ahead of time for $7 per person ($10 at the door) and includes entry, music, and special food truck discounts. $1 of the admission will support the American Red Cross. Boston Cycling and Health Expo: Friday, June 7, 2013 & Saturday, June 8, 2013 at the Westin Waterfront. Enjoy this first annual Boston cycling and health expo and learn about new products and events in New England. Free admission. Natick Mall: Microsoft Grand Opening (with Free Weezer Tickets): Saturday, June 8, 2013. Stop by the Natick Mall on Saturday morning to score free tickets to see Weezer in concert that night. Hope you have a great weekend and stick to your budget! Museum of Fine Arts Community Weekend: Saturday, May 25, 2013 to Monday, May 27, 2013. Celebrate “Boston, I Love” this Memorial Day weekend with free admission. USS Constitution: Saturday, May 26, 2013 to Monday, May 28, 2013. It is Memorial Day Family Weekend at the USS Constitution with demonstrations, activities, and more. Free, suggested donation. The Greenway Open Market: Starts Saturday, May 26, 2013 from 11-5pm at the Rose Kennedy Greenway. The Greenway Open Market kicks off the season with local arts, crafts, and more. #OneRun: Saturday, May 25, 2013 at 10am in the Back Bay. Cheer on the runners of the last mile and help support local businesses in the Back Bay. Institute of Contemporary Art: Saturday, May 25, 2013. The ICA in Boston is free the last Saturday of every month, which is this weekend! Harvard Art Museum: Saturday, May 25, 2013. From 10am-12pm on Saturdays, Massachusetts residents can explore the museum for free with proper Mass ID. Harvard Museum of Natural History and Peabody Museum of Archaeology and Ethnology: Sunday, May 27, 2013. Mass residents can visit the Harvard Museum of Natural History and the Peabody Museum of Archaeology and Ethnology for free on Sundays from 9am-12pm with proof of residency. MIT Museum: Sunday, May 26, 2013. The MIT Museum is free every Sunday from 10-12pm to enjoy. Local Memorial Day Parades: Boston Central has a great round-up of local Memorial Day Parades to find the perfect fit to celebrate Memorial Day. Also, this is the last weekend Side Car Boston is offering free rides, as this promotion ends on Monday. Have a great weekend!